What do you say to a prospective client who says you charge too much or you charge more than other lawyers for the same work? If you don’t at least occasionally hear this, you may not be charging enough. But that’s a discussion for another day. Anyway, what do you tell the client who balks at your fees? One thing you can do is explain what you don’t charge for. Tell them about free services or extras you provide, at no additional charge. 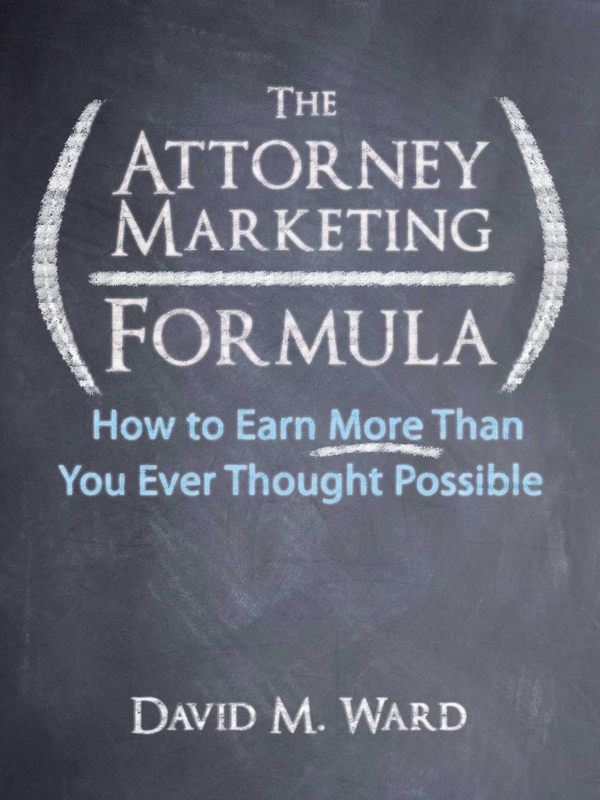 This will not only increase the perceived value of your services, it will imply that other lawyers don’t include those things, even if they do. For example, you might tell them that instead of having an employee meet with them, you will personally meet with them and go through the documents (discovery, etc. ), explaining everything, answering all of their questions, and making sure everything is done right. Or, tell them that when they hire you to do X, they also get Y. Turn a potential negative into a selling point. A reason to choose you instead of any other attorney they might find. But don’t wait for clients to complain about your fees or ask why you charge so much. They might not bother to ask and just call someone else. Instead, post information on your website describing all the value and extra services you provide your clients. Tell them what’s included, and don’t scrimp on the details. Explain this at the first appointment, too. You want clients to think, “She may charge a bit more but I can see that she’s worth it,” and this is a simple way to do that. I read about a study that says people over 40 are most productive when they work three days a week or less. Actually, I signed up a long time ago when I was still in my twenties. Cutting my work week to three days (from a less-productive, stress-filled six-day schedule) allowed me to multiply my income and start enjoying life. So, even though I haven’t always worked only three days a week, this idea gets a thumbs up from me. The question is, what are you going to do with this piece of information? If you aren’t self-employed and you want to give it a whirl, you’re going to have to negotiate with your employer. See if you can work out a way that you get paid for your output instead of your time. When I started paying my staff a salary instead of by the hour, I told them I didn’t care how many hours they worked as long as they got their work done. They did and we were both happier. If you’re self-employed and you want to cut your hours, sit down and have a talk with yourself. See if you can work something out. What if you bill by the hour? Try flat fees or package your services in a way that you can get paid no matter how many hours the job takes you. You’ll work less and earn more. And you and your clients will be happier. Even if you’re still in your twenties. 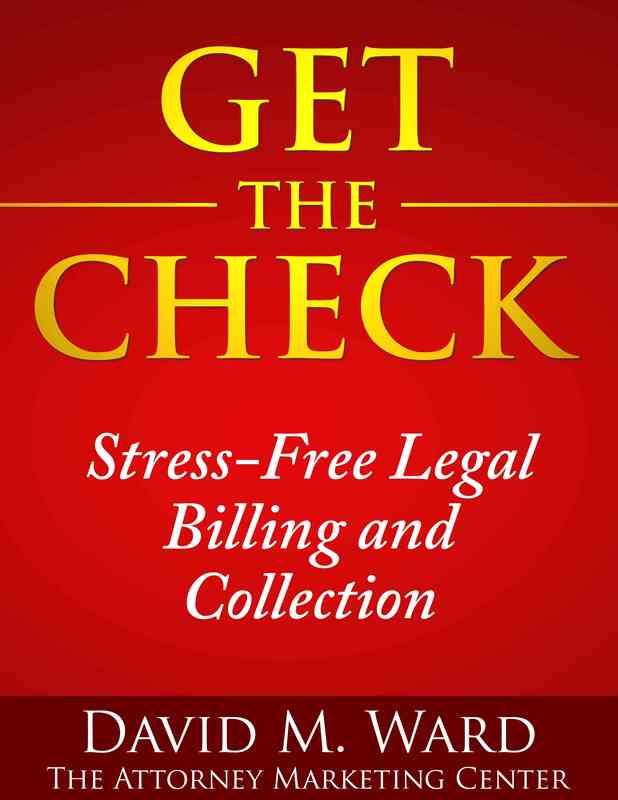 Who says you have to charge all of your clients the same fee and/or the same terms? Try it with a small segment of your client list. For example, you could send a letter to clients who haven’t hired you for ten years or more and make them a special offer. If you like the results, you could roll out the offer to other “old” clients. Wait. 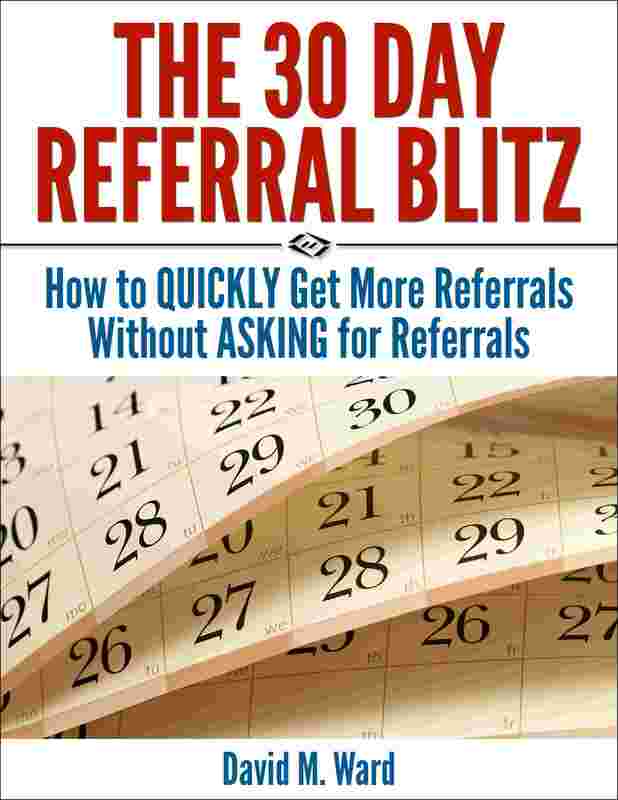 Can you reward and incentivize lawyers and other professionals to provide more referrals? You betcha. 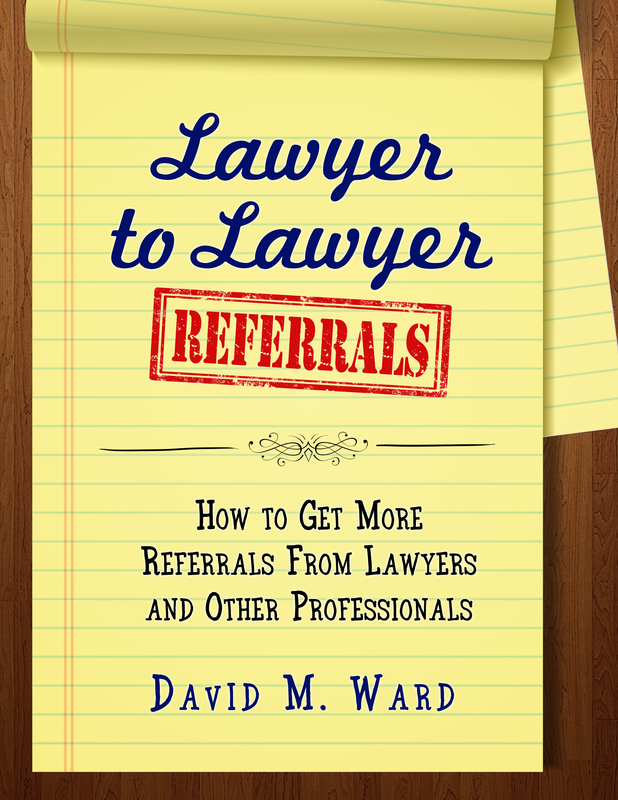 You can learn all about it in Lawyer-to-Lawyer Referrals. Seth Godin said something I’ve mentioned before. He said there are two ways to provide your service. The first way is “with drama”. Let the client see how hard you’re working. Make a big deal about all the additional effort you’re expending on their behalf. In other words, let them see you sweat. Godin says both ways can work and you should choose the approach depending on the client and the situation. I agree that both approaches are viable but there’s a third option. 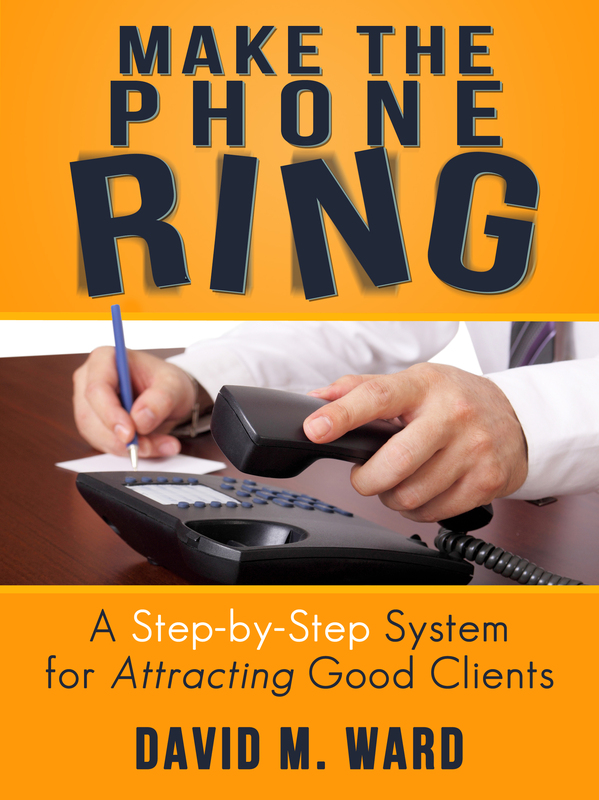 You can let the client know you’re working hard for them or giving them extra effort or value without being dramatic. If you’re providing extra services or other freebies, for example, list them on your invoice followed by a “courtesy credit” or other indication that you’re not charging for those extras. You can also provide invoices with lots of details about your work instead of the more typical invoice that omits most of the details. Let them see all that you did behind the scenes to get the job done. You can also involve them in the natural drama of the matter by sending regular reports about your work and progress and by cc’ing them on correspondence. When you speak to them, you can use body language and tone of voice to provide subtle clues about the magnitude of your effort, no sweating required. At the end of the day, you want clients to know that what you do is hard but you have it under control. Some clients can’t afford you. They need your help, they trust you and want to sign up, they just don’t have the money, or they have it but don’t want to spend it. When would you like to find that out? Before they meet with you, or after you’ve spent a lot of time talking to them about their problem and your solution? If you talk to them and they don’t hire you, is that a complete waste of time? Maybe they’ll realize they have to do something and they will beg, borrow, or steal the money to pay you. Maybe they’ll hire another lawyer who will mess things up and they’ll come back to you to fix things, at greater cost. Or, maybe they can’t afford your primary service right now but they can afford one of your “entry level” services and get more help later. Maybe they won’t ever hire you but they will appreciate you for meeting with them and send you referrals. Clearly, however, you can’t spend all your time talking to people who don’t have any money. You need to weed them out in advance. By promoting your services to target markets and prospective clients who have money and avoiding the ones who don’t. By educating your referral services about your ideal client and including something about fees and retainers. By giving prospective clients (on your website, in your ads or other marketing materials), a general idea of what they will need to pay up front. And, when you meet with prospective clients, qualifying them as to their ability to pay. If they say it won’t be a problem, mazeltov. If they say it might be a problem, or their body language tells you it is, you can explore that subject further or head in a different direction. 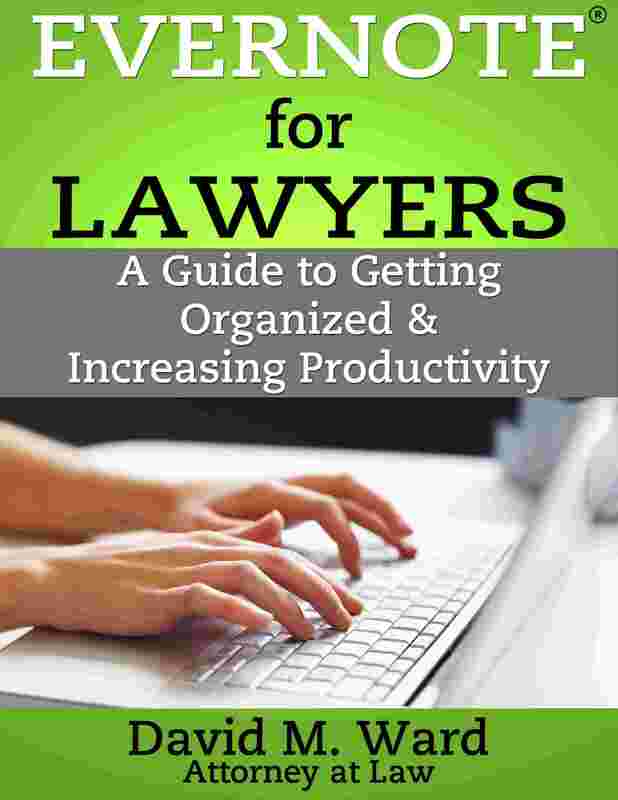 Some lawyers charge $1000 per hour. Some charge even more. Some charge flat fees and can earn $20,000 in a day. Some get bonuses or a piece of the action and earn more on one deal or one case than many lawyers earn in two years. How much do you charge? Why don’t you charge more? You’re worth what clients are willing to pay you (and you are willing to accept). If you would like to charge more but don’t think clients will pay it, stop and think for a minute: what if you’re wrong? What if you could charge more? A lot more. And get it, all day every day. Would you be able to get rid of low-paying clients and work you don’t enjoy? Would you be able to hire more employees and provide your clients with more value, allowing you to further increase your revenue? Would you be able to improve your marketing and bring in better clients or bigger cases? Would you be able to move to a better office that’s more appealing to higher-end clients? Would you be able to open a second office and leverage a client base in another market? Would you be able to upgrade your wardrobe and automobile, network with better prospects and professionals, and thus take your practice to an even higher level? Would you have more time available, to improve your health, to be with family, and to do the things you’d like to do to build your career instead of grinding it out in the trenches all day? Lots of things you could do if you were earning more. The question is, what do you have to do to earn it? How could you charge (a lot) more than you charge right now? Make a list of ten things you can do that would allow you to charge higher fees or otherwise significantly increase your revenue. Narrow the list down to your top three ideas. Then, choose your best idea and get to work on it. Work on it every day. Make it your focus and keep working on it until you get it done. When you’ve tripled your income, send me $100,000 as my fee for helping you get there. That’s the way it works, bub. You get paid more when you’re worth more. And you ask for it. Over the weekend I was looking at a piece of software I was considering. I’d seen a few reviews and watched some videos. I liked what I saw but the developers didn’t provide a lot of information and I wasn’t sure I wanted to spend the money. Do I really need this? How much would I use it? Is it as good as it looks? What if I get it and find something better? They offer a money back guarantee and I was leaning towards buying but decided to sleep on it. See if I could find more reviews, maybe write to the developer and ask some questions. Today, I went to the website from another computer. Lo and friggin behold, the software was available for one-third of the price I saw last night. Not one-third off. One-third of the original price. I saw nothing about a “sale” or promotion. Were they price-testing? Did I somehow load an old page? Who cares. I bought the sucker. It really wasn’t that expensive at the original price. But at one-third the price, it was a no-brainer. Take my money. Two lessons for you my young Padawan. First, don’t scrimp on the info. Make sure your website and other marketing materials show prospective clients as much information as possible. Make sure you have lots of reviews and testimonials. Answer every question a prospective client might ask about you and your services. Do your best not to give them any reason to “sleep on it” because they might not come back. Second, don’t lower your “prices” but do offer lower-priced alternatives. If a prospect sees your full-priced package but isn’t sure they want to go ahead, your lower-priced package could be just the thing to get them to take the plunge. Get the client, even at a lower fee. You can sell them on buying additional services later. When it comes to pricing and the perception of value, context counts. A $3,000 fee may seem expensive when that’s all the client sees, but a bargain when they are first presented with your $9,500 package.